Innovation Norway’s full day with GCE NODE ended at the MacGregor Norway headquarters in Arendal. 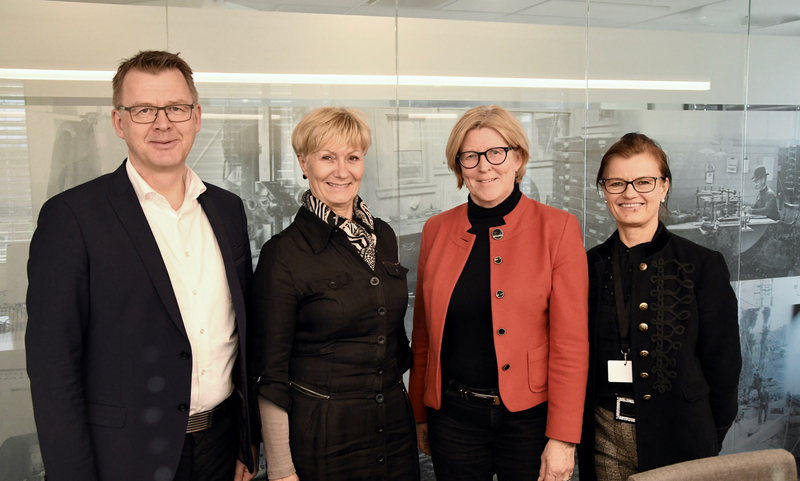 Left-right: Høye Høyesen (Chairman, GCE NODE and CEO, MacGregor Norway), Anne-Grete Ellingsen (CEO, GCE NODE), Torunn Aass Taralrud (Director, Innovation Norway) and Rita Schage (Innovation Norway). Says Torunn Aass Taralrud, Director at Innovation Norway and Head of Norwegian Innovation Clusters, which comprises Norwegian cluster at the Arena, NCE and GCE levels. Last Friday, she spent a full day with GCE NODE in Kristiansand, Grimstad and Arendal. “My clear impression is that GCE NODE companies have done a great job to innovate and to transfer technology and competence from oil and gas to other emerging industries. I won’t say I am surprised, because I expect a lot from GCEs, but still, I am impressed by how the cluster has produced radical innovations in very tough times,” says Taralrud. GCE NODE is close to the halfway point of the 10-year period as a Global Center of Expertise. 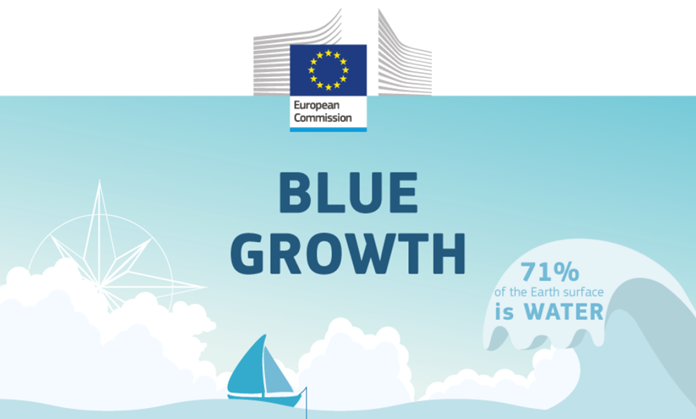 A halfway evaluation is coming up, and the cluster is encouraged to find an exit strategy – that is a strategy for how to sustain cluster activities when public funding is scheduled to end in 2024. “We expect GCEs to build capacity and competence on how to establish a sustainable business model based on participation fees and a portfolio of projects relevant and useful for cluster participants,” says Taralrud. At GCE NODE, Taralrud met Anne-Grete Ellingsen, CEO of GCE NODE, and Høye Høyesen, Chairman of the Board of GCE NODE and CEO of MacGregor Norway. She was also given an extensive tour of Mechatronics Innovation Lab in Grimstad. Taralrud praised Anne-Grete Ellingsen for her contribution. 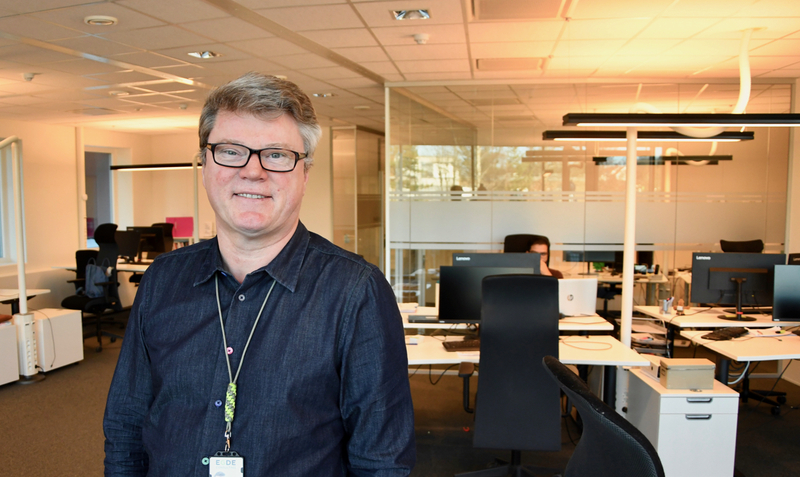 “Anne-Grete has done a tremendous job in developing the cluster and providing it with an international perspective. She has been great at building national and international networks and she has found inspiration and funding for cluster activities,” says Taralrud. 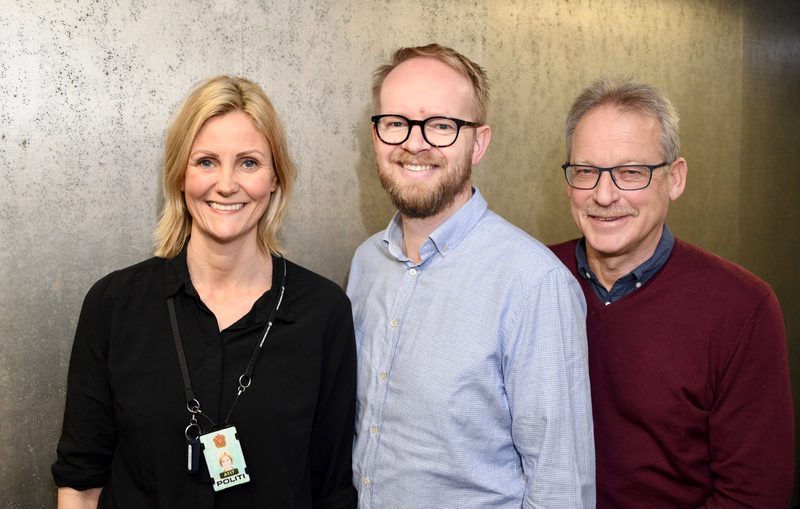 She encourages companies in the Agder region to make the most of the competence and experience gathered in the cluster. “The region is well equipped for growth. Oil and gas is the bedrock of Norwegian industry. Going forward, we need to find ways to exploit technology and competence from oil and gas for future growth in new industries,” says Taralrud.